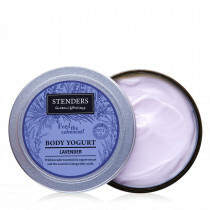 300g Feel the lavender calmness! 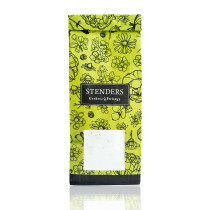 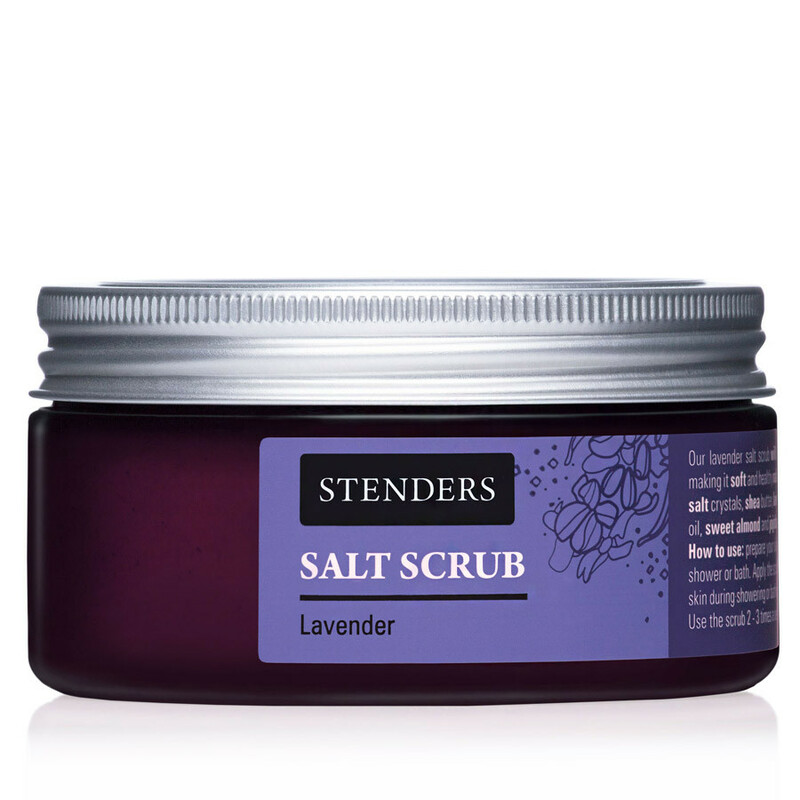 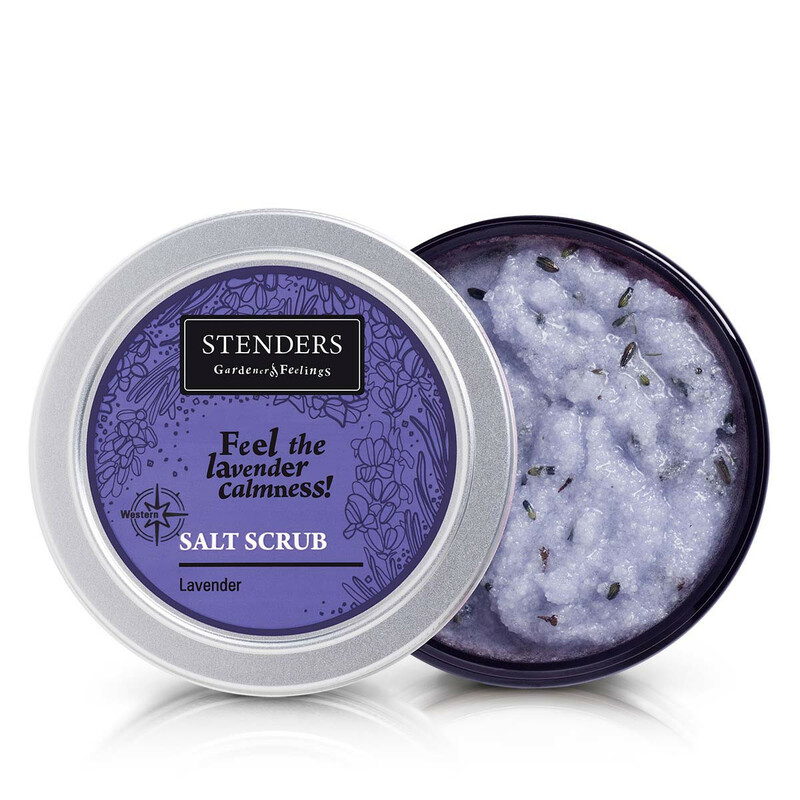 Our lavender salt scrub will deeply cleanse your skin, making it soft and healthy radiant. 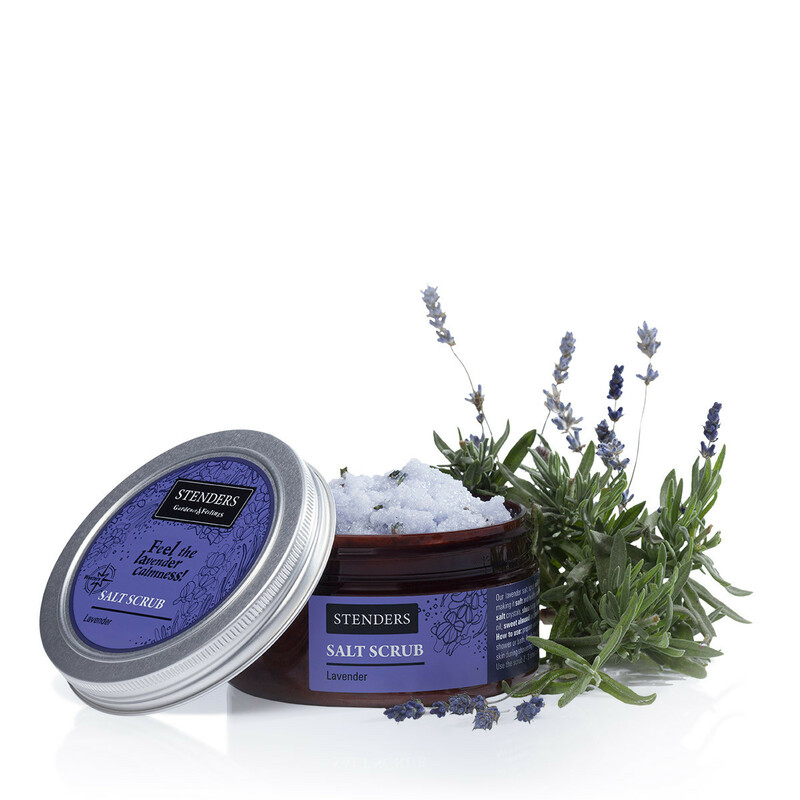 Polished salt crystals will ensure gentle peeling effect, while shea butter, lavender essential oil, sweet almond and jojoba oil will nourish and soften your skin. 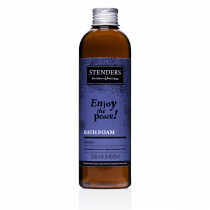 Lavender flowers added to the scrub will create fragrant and peaceful atmosphere in your bathroom. 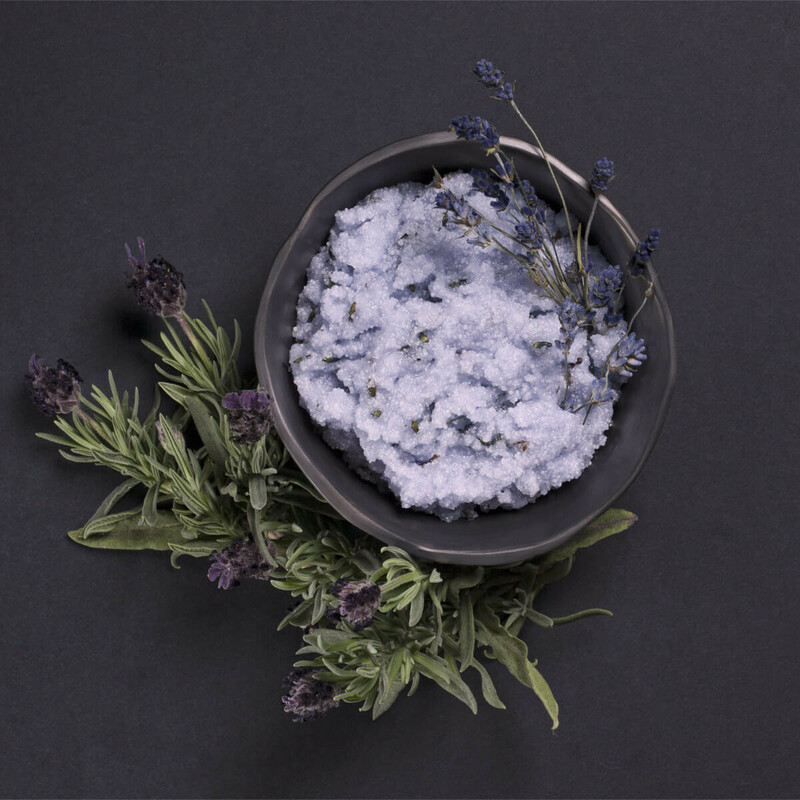 Sodium Chloride, Prunus Amygdalus Dulcis (Sweet Almond) Seed Oil, Butyrospermum Parkii (Shea) Butter, Simmondsia Chinensis (Jojoba) Seed Oil, Glycerin, Lavandula Angustifolia (Lavender) Flower, Parfum (Fragrance), Lavandula Angustifola (Lavander) Oil, BHT, Phenoxyethanol, Ethylhexylglycerin, CI 60730, Linalool.